The Nepal Law Society (NLS) and the International Foundation for Electoral System (IFES) have launched a project on Electoral Legal Reform in Nepal for sustainable and inclusive democracy from July, 2018 in order to support the reform process in electoral laws and their integration. The project aims to support the electoral legal reforms by standardizing and consolidating the election acts in line with the constitution and international standards and to support the inclusive electoral governance through the activation of dialogue forum. As part of the project, the NLS in coordination with the ECN and the parliament, prepared a mapping report on the legal needs for election reform and integrated law. Based on the mapping report, the project identified five major issues for provincial consultations. The feedbacks received from such consultations will be used in producing integrated law. Such consultations are being held in all seven provinces. 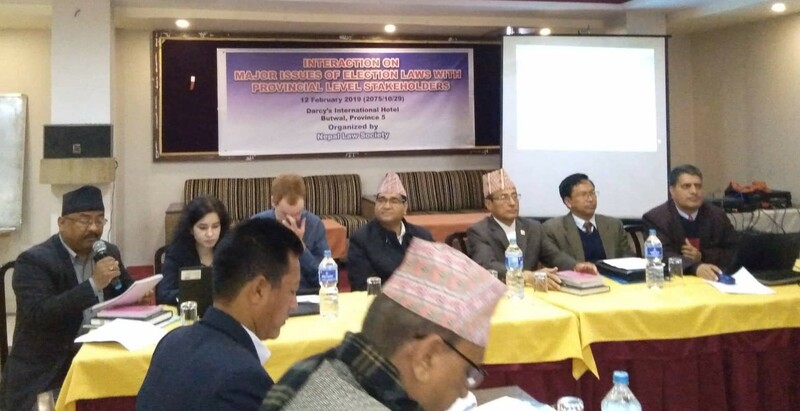 First such consultation was held in Pokhara of Gandaki Province on 31 January, 2019. 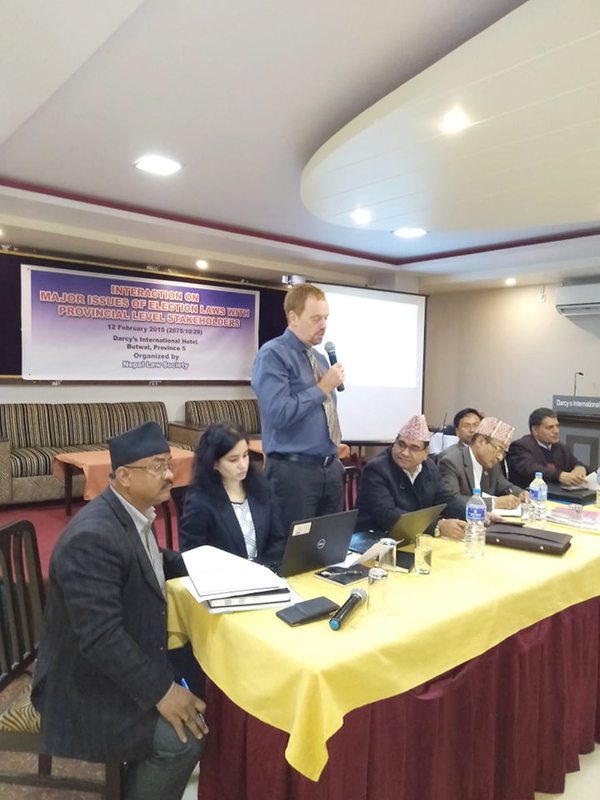 The second consultation was held in Butwal of Province 5 on February 12. Here is the proceeding report of the second consultation.